Think about the last time you made a purchase decision on the fly without prior research or knowledge of the product. You just stumbled upon it, and couldn’t resist purchasing it. It didn’t take any marketing jargon or technical sales talk to convince you, did it? Those products are a rare occurrence in today’s world, where most companies are looking to be consumer-driven. They’re focused on bench-marking against what’s already out there, improving it 1%, and then promoting it hard. But that’s not always the route that every business should take. Many timeless, iconic companies have paved their way through a pure product-driven strategy. Companies like Trello, Snapchat, and Drift are today’s pioneers of the product-based system, and their results simply speak for themselves. Here’s what a product-driven culture means, the pros and cons, and what we can learn from these amazing companies for the future of product creation. What is a product-driven culture and why is it important? When most companies are born, they are either product-driven or sales-focused. Meaning they either focus on developing the ultimate product, or their efforts are driven by consumer demand and solving a pain point in their industry. As one of the most basic examples, there is, Apple is a shining star when it comes to product-driven companies. But they weren’t always that way. In 1998, they were on the cusp of being bankrupt and were being destroyed by Microsoft. Steve Jobs had just returned to Apple in 1997, and when he returned, he killed off multiple products that were too consumer-focused. 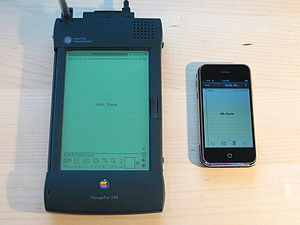 For example, the Apple Newton. Amongst the products he cut, he noticed a glaring trend: a lack of innovation-focused goals. Take a look at any of their products from 1998 onward and you’ll start to see that each is developed with almost no customer feedback. The products are developed not out of need, but out of invention and disrupting current market products. For example, their latest creation, the AirPods. Wireless headphones have existed for years. But Apple doesn’t care about that. They have one goal in mind: make the best product in its category. This is easily seen in Apple’s AirPods. They charge directly in their carrying case, connect instantly, are voice-driven, all while allowing the actual headphones to have a slim profile with less hardware. Simply place them back into the case and they resume charging. Consumers didn’t suggest that. It was born out of the desire to innovate. Essentially, the order of their operations is reversed from what most would consider the norm. Most would tell you that inventions (products) and companies are born out of necessity. Created to solve problems that afflict us daily. Being a product-driven company flips the script, developing great products that will attract their own users. All functions of the company are focused on the product first, finding a target market once it’s created.